Narelle MacPherson and David Cobbold, the new owners of Warrawong Wildlife Sanctuary, are thrilled to announce the purchase of Lake Cumbungi. 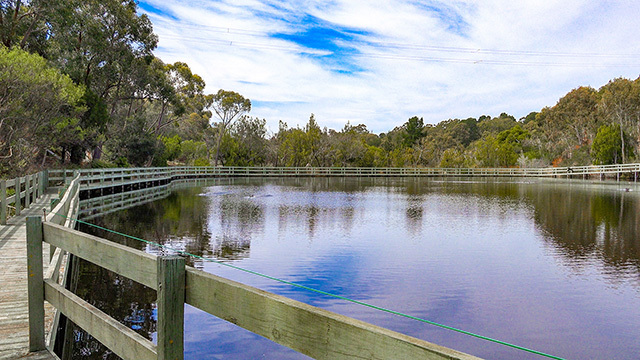 The lake was the original water source designed and built to give life to the wetlands of Warrawong. However, it was sold, and seemingly lost forever, in 2006. Thanks to the support and generosity of the people of South Australia, a Go Fund Me crowdfunding campaign, raised just over $45 000. That whole amount was put towards the $48 000 bill for stamp duty and fees, associated with buying back the lake. The actual purchase of the 14 acre property was completely funded by a loan from the Commonwealth Bank, which also funded the purchase of the Sanctuary in 2017. Buying back the lake was considered crucial to resurrecting Warrawong’s ‘man-made’ ecosystem that once sprawled over 9 land titles and 85 acres. 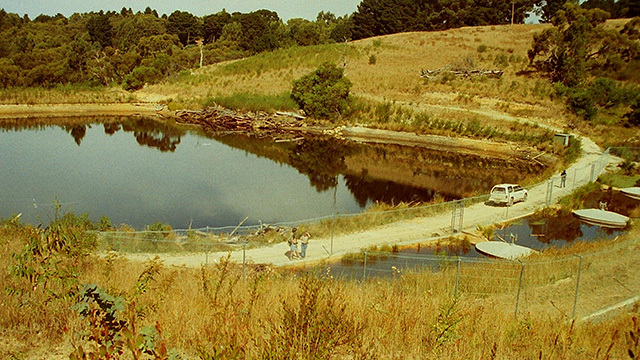 Lake Cumbungi, the brainchild of controversial environmentalist, Dr John Wamsley, supplied water to the wetlands of Warrawong Sanctuary and created extensive habitat for the resident platypus. “Hollywood”, the most adventurous of the creatures, regularly followed the waterways to the header pond, right outside the café window, to the amazement of onlookers. “We believe investing in a healthy, functioning ecosystem is a wise decision”, Ms McPherson stated. “Creating an Australian Garden of Eden, with abundant habitat for platypus, one of the most bizarre animals on the planet, is eco-tourism at its best”, Mr Cobbold opined. Warrawong Wildlife Sanctuary is considered by environmentalists the world over to be a significant and iconic property. It was the birth place of the feral proof fence; a fact recently highlighted by a visiting journalist from The New York Times. Platypus are thought to be extinct on mainland South Australia, which makes the purchase of Lake Cumbungi a truly significant achievement. Unknown to most, there are 3 underwater observatories on the side of the lake. There are plans to develop the site as a platypussary, in conjunction with the Warrawong Sanctuary Foundation. Thank goodness for you and your energy and passion! We hope to visit Warrawong one day. Thanks for the support Shona. Resurrecting Warrawong is definitely a labour of love. We hope to see you hear soon. The “glamping” tents still exist, but they are well past their best. Most are unusable. However, we are working on developing the accommodation site as a joint venture. Hopefully staying the night at Warrawong is just around the corner.